Paper HeARTIST: December's Stamp of the Month...."Year Round Cheer"
December's Stamp of the Month...."Year Round Cheer"
Welcome to the CTMH Stamp of the Month Blog Hop! The blog hop makes a circle so if you are starting here just continue until you make your way back and you will have made it through them all. If you have already started and are coming from Maureen OSullivan's blog, "Let's Give 'em Something to Scrap About", then you are on the right track. It's been a couple of months since I participated in the SOTM blog hop due to...what else? School (work). Why couldn't I have been born a woman of leisure? LOL At any rate I missed it and decided to MAKE the time to play along. This month's set is cute and I can think of a lot of ways that it could be used, as I'm sure you've seen throughout the hop. However, since it certainly does scream calendar, I wanted to try and do something a little different. My eye was immediately drawn to the adorable bird. Besides, I love anything that says, "I love you".) ;) I then started thinking about using one of the 3D cuts on my Artiste Cricut cartridge. Purse? Matchbox? Box? Then I saw a box that looked like a birdhouse! 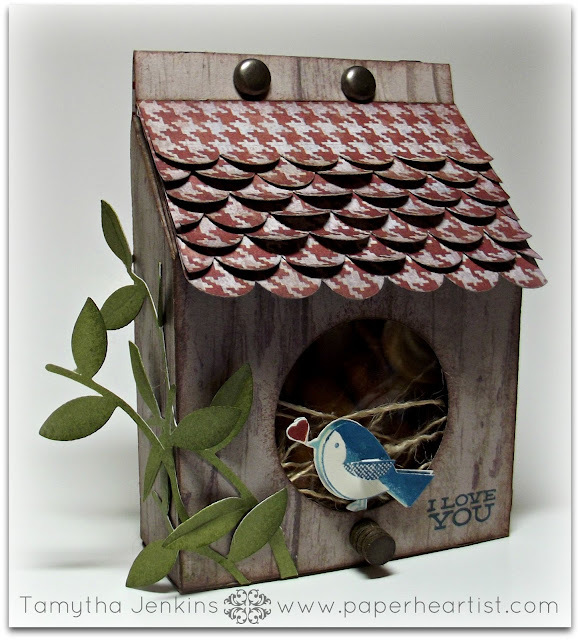 Bird + Birdhouse = the cute little creation below (if I say so myself). 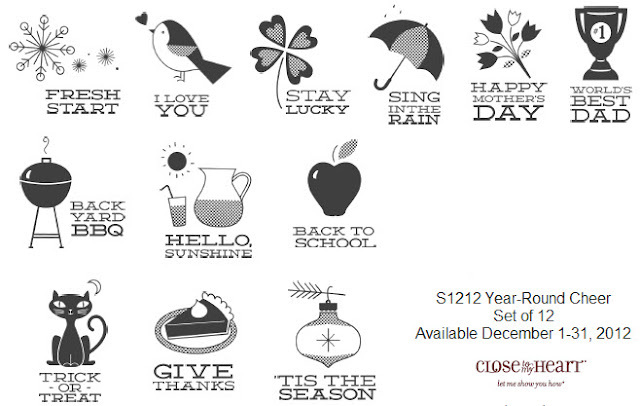 Here's a look at the entire stamp set. Remember, if you love what you've seen so far along your SOTM Blog Hop journey, and you want your own "Year Round Cheer" stamp set or want to get it for the amazingly low price of $5, be sure to contact your Close To My Heart Independent Consultant. If you don't already have a consultant, I'd love to be yours. You can find details on the "Stamp of the Month" by clicking on the "Promotions" tab at the top of the page or purchase your SOTM here. Of course, if you have any questions, please don't hesitate to contact me. If you have time, take a moment or two to check out the rest of my blog. If you enjoy your visit, then please consider "Following Me", signing up to receive blog updates, and/or leaving a comment (we all love comments...the nice ones anyway), then be sure to continue along on the hop by heading over to Michelle John's blog, "My Flights of Fancy" and check out her project. If for some reason you get lost along the way, you can always find a list of all this month's CTMH SOTM Blog Hop participants on Kathleen's blog. Thanks Krista! I just edited my post to include that information. You think I would have thought of that myself. Okay. Stop. Shut up! That is the cutest thing ever! So creative. VERY cute - love it! I REALLY like this! You should MAKE the time to post more often---because you are so talented! This is so darn cute! I am LOVING your creation! That is such an adorable way to give a little gift!! Thanks for sharing!! Ooooh so cute! Now I want one too. 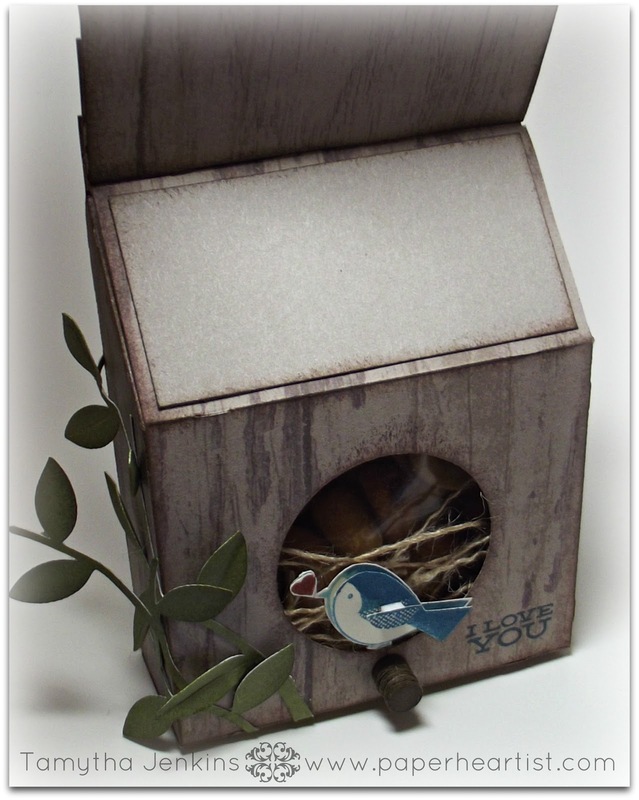 This birdhouse is adorable! Great work! Love how you used so many elements and created a really special item. Great work! Dakota was the perfect choice for this box! Oh my word .... you really out did yourself this time!!! So nice catching up with your blog today. What a gorgeous project. Love all the details you added. Very cute project! Thanks for sharing! 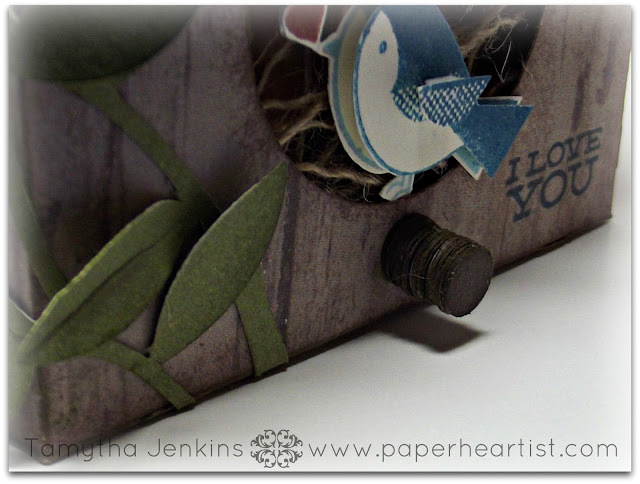 Oh wow this little birdie homeis adorable and so creative. Just ove it. I appreciate you taking time out of your day to leave a comment. It means a lot to me. :) Thank you! Ethereal theme. Theme images by bopshops. Powered by Blogger.